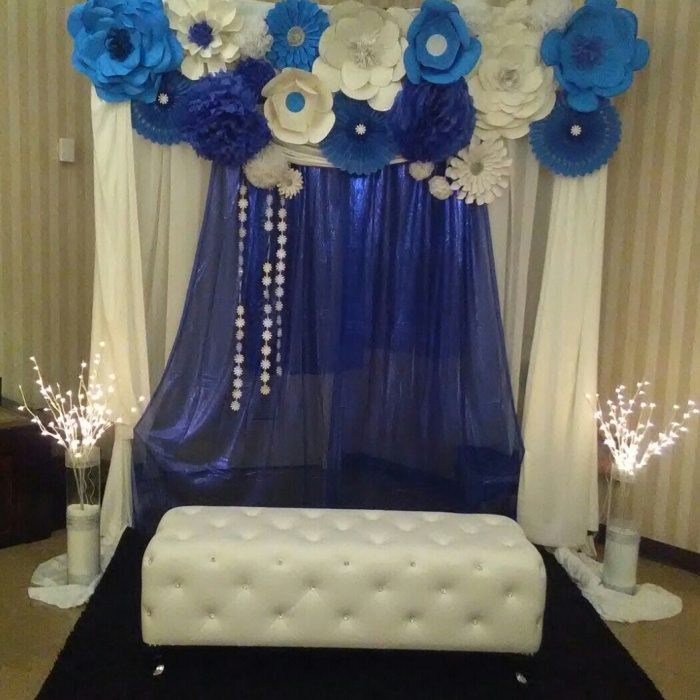 Our new royal blue fabric spread covered in royal blue spangles will instantly add pop and pizazz to your next event! 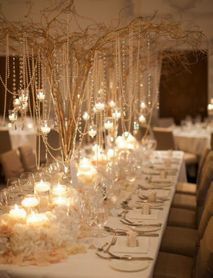 Take your party from drab to WOW with the simple addition of this fabulous table cover! 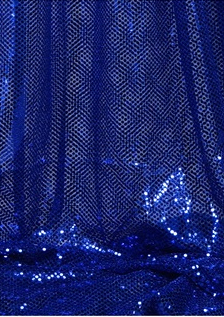 The royal blue colored netting material underneath is soft and flexible and has tiny royal blue threads running through the netting, creating a slight metallic shine and that is covered in 1/8" shiny round royal blue colored spangles. The spangles are flat and smooth - blending perfectly with the netting. You can cut this material so it has a lot of uses! Use as a table runner, an overlay, decorate columns or arches, use in floral displays and wreaths, hang from a wall or ceiling, use as pew bows or chair sashes. The cover is 15' long and the overall side width is 44.5" (the spangled area is 38.5" with a 3" net border on each of the 15' long sides). 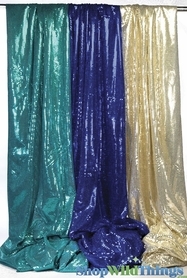 The fabric is somewhat sheer but with all the spangles it still gives great coverage. This fabrics is very beautiful. Everybody in my event talking about this. Thanks for selling a very good quality products. OMG I LOVE this fabric! It is gorgeous and well made! 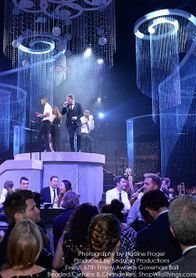 I hung a curtain of lights on top for an event and it sparkled against the sequins. The fabric goes on and on forever it is really long which I think is great and for the price? I should have bought like 4 of them! Love it! Prosfabric is gorgeous and quality, the fabric is very long so covers more space it is also light enough that you can see light through it.